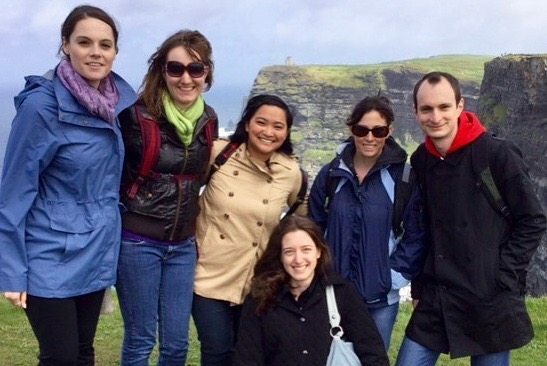 We at Performing Arts Abroad are incredibly proud of the Study Abroad programs we offer in Ireland, England, Italy, and New Zealand, as well as the participants who go on them. Students are applying now for Spring semester, and in honor of them and the $1,500 scholarships we’re offering (more info on that here), I wanted to take a look at the type of people you’re sure to run into while abroad. Whether you’re in London or Barcelona, Limerick, Ireland or Dunedin, New Zealand, chances are you’re probably going to want to get out there and explore! There are new places to see, new streets to roam and new foods to eat, and most of your fellow international students will be right there with you. Then there’s the Homebody. The Homebody rarely ventures out, and when they do, it’s not for long. You might ask why they came all this way to experience the thrills of a dorm room in a far off land, but who knows? Yes but it’s an ITALIAN twin size bed. FOMO stands for Fear of Missing Out, and you couldn’t keep this person home if you tried. The FOMO only has X number of minutes in this amazing country, and by golly they are not going to waste a single one of them! Going hiking this weekend? The FOMO is there. Seeing a play tonight? The FOMO is there. Visiting the market, having a party, or taking a tour of the most haunted basements in London? You can always count on the FOMO. Remember though, it’s not a good idea to try to keep up with the FOMO the whole time. You can drive yourself into the ground having so much fun, and if you burn out early you can unwittingly turn into a Homebody. Whoa, we came full circle there, didn’t we? Nobody wants to look like a tourist (especially when we are one) but the fact is, no matter how hard we try, we’re going to stick out in a new place. Sometimes it’s best just to lean into it. Whether it’s because of a language barrier or our unfamiliarity with the local transit system, it takes time to get your bearings and feel comfortable in a foreign city. That is, unless you are the Insta-Local. The Insta-Local immediately blends in seamlessly, either through instinct or a concerted effort. Within hours they can navigate the local transit system blindfolded. Within days they’ve got the local sports team’s jersey, know all the cheers, and can tell you everything about league standings. Within two weeks they’ve developed an accent that will stay with them the rest of their lives. Wha–? How–? I didn’t even know there was a beach here! The best part about being friends with the Insta-Local is that they’ll know the coolest hotspots in town that only the locals know about. We don’t know how they know, but they do. It’s like a 6th sense. Like the pub where you have to bring your own instrument. The polar-opposite of the Insta-Local is the “Everything is Better Back Home” friend. We were going to give this person their own number, but they’re super annoying. Don’t be the EIBBH friend. We all go abroad for different reasons. For some it’s the adventure, for some it’s curiosity, and for some it’s a chance to get away from home. For the Party Animal, it’s the lower legal drinking age. You’re on an adventure, and chances are you’ll find that one buddy to be adventurous with. You’ll wonder where they’ve been all your life, and be grateful they have just the right amount of goofiness in them to match yours. They’ll give you the courage to do things you might be to scared to try otherwise, and won’t make you feel guilty on those weekends you’re just tired and want to stay home. Keep an eye out for the Best Friend.